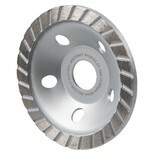 A sintered diamond cutting wheel suitable for wet cutting tiles. 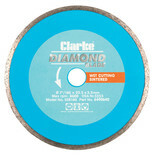 A diamond coated grinding wheel suitable for grinding concrete, pumice stone, bricks, natural stone, artificial stone & mortar residues. 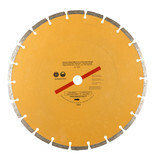 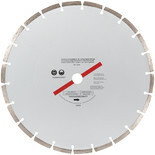 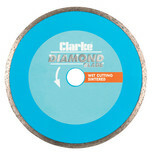 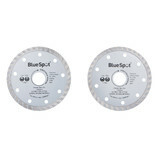 The 4½" Turbo Diamond Disc is designed for precision and provides a faster cut. 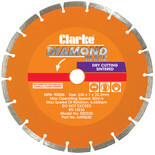 Ideal for many materials including roof tiles, high density concrete, kerb stones, slabs, pipes and bricks. 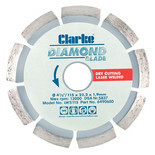 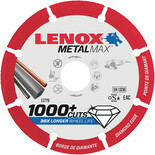 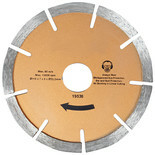 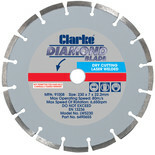 A high quality diamond blade. 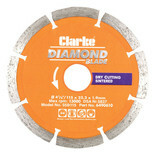 Able to cut Natural Stone, Concrete, Brick, Paving Slabs & Ceramics. 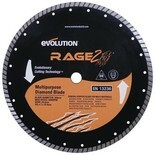 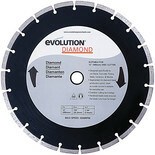 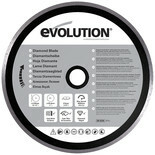 The Evolution Rage Diamond Blade 210mm allows you to cut natural stone, concrete, bricks, ceramic and slate tiles.